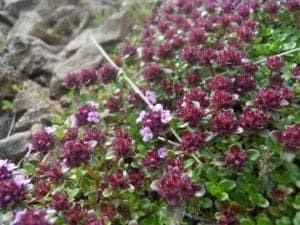 Thyme remains one of my very favorite herbs for colds, the flu, and other respiratory gunk. 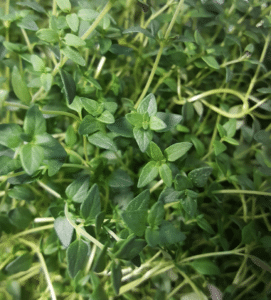 Thyme has a very high volatile oil content – in other words, the constituents that make it smelly – and those volatile oils are super anti-microbial. The trick is, you have to get them in contact with the microbes you’re against, and a steam is the best tool for that job, hands down. All you have to do is boil up a large pot of plain water (don’t add the Thyme yet! ), and find yourself a towel or a blanket. Once the water is at a rolling boil, set it down somewhere you can hunker over it, and toss in a big handful of dried Thyme. You can use fresh, but I find good quality dried Thyme is more concentrated. Immediately make yourself a “tent” with your towel or blanket, and breathe in that hot Thymey steam. It’s hot alright – and not just because the water was boiling, but also because the volatile oils themselves are super carminative. It will feel pretty intense to breathe in deeply, but try to – the further down into your lungs that you can get that Thymey steam, the more microbes you’re literally killing on contact! So breathe deep, and have your handkerchief at the ready, because this is one of the best sinus-clearing methods I know. 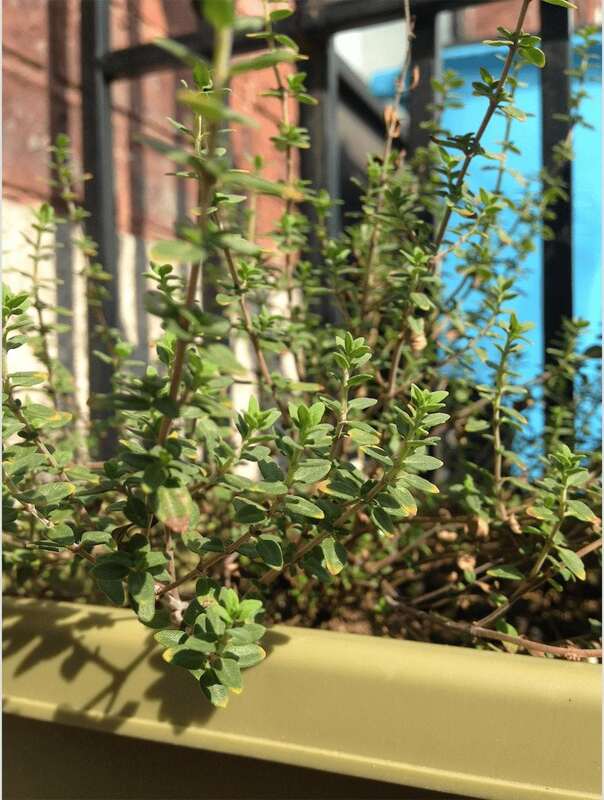 And don’t throw that water away after the steam is all gone – you can drink the tea, or use it for a footbath, or put it into a full body bath: there’s more to Thyme than its volatile oil content, and you can absorb a lot of it through your skin and digestive tract! 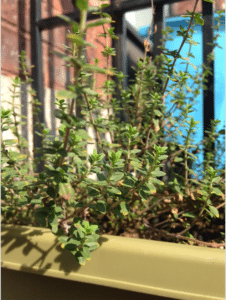 By the way, you don’t have to wait until you get sick for a Thyme steam – if you’re a teacher, or a medical professional, or basically anyone who works with people, a Thyme steam is a wonderful after-work habit to get into. It only takes ten minutes, and in that short time you can know that you’ve killed off whatever was sneezed into the air you were breathing all day! Maybe this sounds like a great idea, but perhaps you’re on the road and you can’t bring your pot and towel? There’s a portable solution: Thyme essential oil! I’m not normally a big fan of essential oils – or rather, I like to limit their use. It can take more than 100 pounds of plant matter to fill that little 1/2 ounce bottle of essential oil, so I like to use them very sparingly! But for respiratory issues, you don’t actually have to “use” any at all. When I’m out and about with a cold (no no, stay in bed! ), I carry a bottle of Thyme essential oil with me, and every hour or so, I just open it up, hold it under my nose, and breathe in as deeply as I can! Presto – Thyme steam in a bottle, ready when you are! Have you ever wondered why Thyme is in so many recipes from so many different cuisines? It’s because it helps you digest your food! It’s carminative – which means warming. The digestive process requires a lot of heat, so any herb that can warm up your digestive tract is going to help you break down your food better. 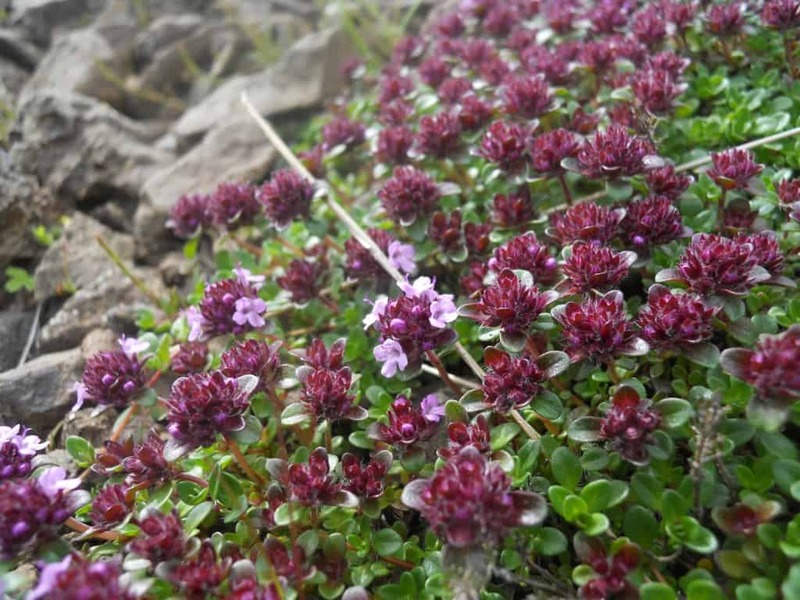 Thyme also has some bitter properties that stimulate digestive secretions, which further contributes to the efficient break down of food. Finally, that antimicrobial action that works on contact in the respiratory tract ALSO works on contact in the upper digestive tract – and this kind of action was particularly important in the days before refrigeration! What’s YOUR favorite way to enjoy Thyme? Check out our Foundations in Holistic Herbalism program – get the skills you need to confidently take care of your health, and your loved ones!